I am currently a PhD Candidate at the Department of Computer Science, University of Illinois at Chicago. I entered the PhD program in fall 2009. My advisor is Prof. Jason Leigh. Here is my Curriculum Vitae (updated to Jan 2012). 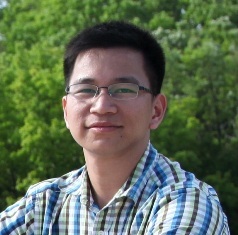 Fall 2009 - current: Ph.D. Candidate in Computer Science Department, University of Illinois at Chicago. My research interests cover various types of high performance, large scale, paralle and distributed computing such as Cloud computing, Grid computing, SuperComputing... And besides, I am also interested in Information Retrieval/Extraction and Data mining. My research and publications.